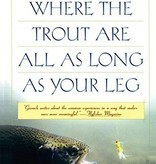 Fly-fishing’s finest scribe, John Gierach, takes us from a nameless stream on a nameless ranch in Montana to a secret pool off a secret creek where he caught a catfish as a five-year-old, to a brook full of rattlesnakes and a private pond where the trout are all as long as your leg. As Gierach says, “The secret places are the soul of fishing.” Hearing about a new one never fails to entice us. 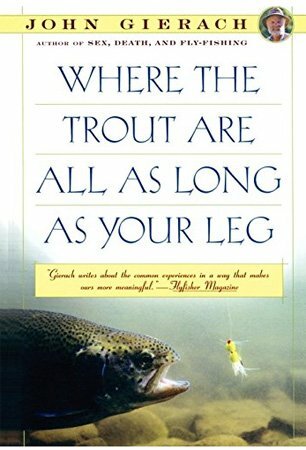 And so Where the Trout Are All as Long as Your Leg transports the reader to the best of these places, where the fish are always bigger and the hatches last forever. After all, it’s these magical places that Gierach so vividly evokes that remind us how precious—and precarious—are the unspoiled havens of the natural world.